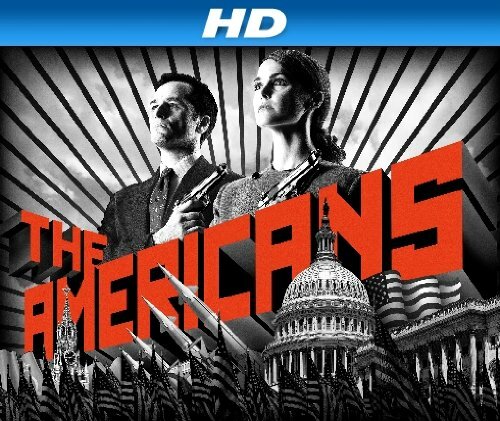 Quick Take: The Americans, "Gregory"
(S0103) This week we are taken back to events that happened in the series premiere. As you recall when we first met Philip and Elizabeth they, along with another spy, Robert, were abducting a KGB defector. Unfortunately Robert died of a stab wound inflicted by the defector. In the present episode, FBI Agent Deem soon learns - with the help of his informant at the Russian embassy - that Robert was a KGB agent living in Philadelphia with a wife and baby. Meanwhile, Philip and Elizabeth receive a message from Robert from beyond the grave in a local newspaper asking them to meet him in Philadelphia. Instead of going to the meeting themselves, Elizabeth reaches out to their contact (Gregory) in Philadelphia to set-up a surveillance for the meeting. Showing up for the meeting is Roberts' wife Joyce Ramirez and their baby boy. Gregory immediately notices that Joyce is already under surveillance by the FBI and reports back to Elizabeth on his findings. Now the race becomes who will get to her first, the FBI or Philip and Elizabeth. While the FBI was one step ahead in discovering Robert's wife it's Philip and Elizabeth with the help of Gregory who are able to apprehend her first. I must say I found the scenes where she was under surveillance humorous. Everything seems calm in the neighborhood and then all of a sudden she moves and there is a domino effect of other people taking action. It just seemed too stage and not subtle whatsoever. Like they were hitting us the viewer over the head with what was going on. Once Philip and Elizabeth begin to question her it becomes evident that she is completely out of the loop as to who Robert was. She just went along with what he told her to do and that was it. I've never heard of anyone living a triple-life but that's exactly what Robert was doing. She secretly believed that Robert was a drug dealer but soon puts the pieces together and realizes that he along with Philip, Elizabeth and Gregory are all spies. When she says this out loud Elizabeth promptly tells her to stop talking. Is Elizabeth softening as the weeks go by? In the end, Philip and Elizabeth drop her off with their new contact person, Granny as Philip has named her, leading her to believe that she will be safe in Cuba. But, in fact she is killed in what looks like a drug overdose and her and Robert's son is sent to Russia to live with his paternal grandparents. I don't know if I missed it, but, I wonder if Elizabeth and Philip knew of her fate. Elizabeth sounded quite convincing to Joyce when she told her that they would take care of her, but, at the same time if she ever slipped up and spoke it could mean the end for Elizabeth and Philip as well. Also this week we get more insight into the workings of Philip and Elizabeth's married life. Gregory is not only their contact in Philadelphia but he has also been Elizabeth's lover and confidant for many years. But now that Elizabeth has developed a new found affection for Philip she decides to end things with Gregory. He doesn't take the news well and in turn lashes out at Philip and makes him aware of his and Elizabeth's relationship. Philip is angry with Elizabeth and makes it known. Elizabeth in the end explains to Philip why she turned to Gregory all those years ago and why she continued to do so, but now finds it unnecessary as she finally feels real feelings towards him and he forgives her. It's just crazy how for so many years they have been unfaithful to one another and this one relationship is the one that sends Philip over the edge. I'm curious if Philip is older than Elizabeth and maybe that's why their views on relationships are so different. She has always viewed their home life as a job and cover while he thought it was something worth having. Overall I think that this episode was the best of the season thus far. I didn't find myself wanting to change the channel at any point and I was happy that there was some closure to a previous storyline. Hopefully future episodes will continue to move the plot forward and I must say watching the FBI and Philip and Elizabeth playing a rat race of who will get to the prize first is intriguing.